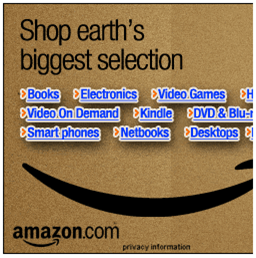 Click on the banner before you go to Amazon to make a purchase. The banner will put you on Amazon’s site. Shop away as you see fit. This is another of the simple, passive ways for us to benefit from the things Brookdale families already do (in this case, buy things online at Amazon). We’ve done a trial run and are happy to report that the first couple of dollars have been credited to the Brookdale account. So, if you’ve got some last-minute holiday shopping to do, we hope you consider this a great way to get that done. There are more details to be shared here – for example, there are some items that are excluded from this arrangement – but for now we wanted to start getting the word out. We’ll fill in more as we go, and please let us know if you have any questions in advance. We will also shortly get to the THANK YOU part of this. For now, we thank Rafael for suggestion the idea, Dani for getting us registered and pushing us toward the finish line, and Peter for connecting all the dots and making this a reality. 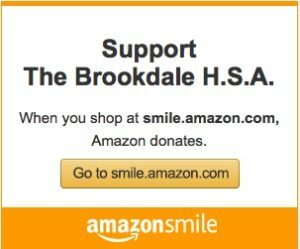 This entry was posted in Announcements and tagged Amazon, fundraising on December 20, 2013 by BrookdaleHSA.